Enzyme peels are designed to deeply dissolve the buildup of keratin or dead skin cells. This process stimulates cellular renewal; diminishing the signs of aging, lifting hyperpigmentation, and flushing out acne impactions without stripping the skin. Widely used in the treatment room prior to extractions or before a chemical peel, an enzyme peel can be used as a stand-alone service revealing clear glowing healthy skin. 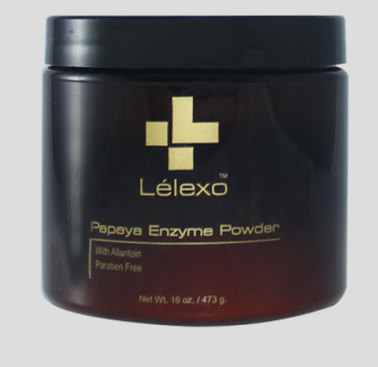 Enzyme peels are often made from fruit that both nourish and exfoliate the skin. 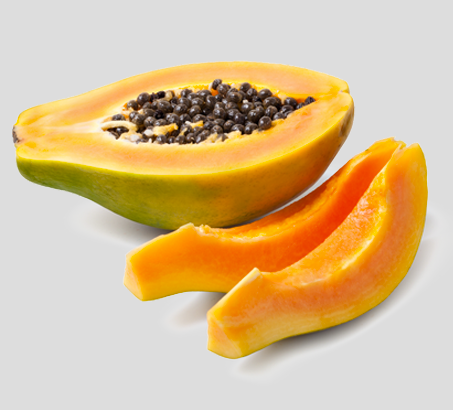 Of the most popular enzymes, papaya rates at the top with its antibacterial and antioxidant properties. Vitamins A, B and C found in papaya helps restore moisture, brighten skin complexions and encourage cell production. Vitamins A, B and C found in papaya helps restore moisture, brighten skin complexions and encourage cell production. Enzyme peels are the ideal alternative for individuals who cannot tolerate AHA, BHA, TCA peels or mechanical exfoliation like microdermabrasion. After the first enzyme peel, the skin looks noticeably renewed and smooth.